Asthma continues to be a condition that impacts a significant proportion of the developed world, however the factors that influence the development of asthma are still unclear. 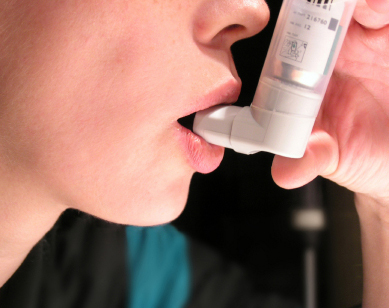 In an article recently published in Allergy, Ryszard Dworski, M.D., Ph.D., and colleagues reveal that a gene called Glutathione S-transferase M1 (GSTM1) is associated with a specific type of inflammatory response to an allergen in people with asthma. The researchers studied lung tissue before and after an allergen challenge and found that people with the GSTM1 gene had an influx of a type of immune cell called neutrophils to the tissue during an allergic response. People who did not possess the gene did not have the same response. This inflammation was associated with activation of NF-kappa B, an essential protein that regulates the airway’s response to environmental allergens. Future work will determine how GSTM1 produces this response, and may reveal new therapeutic targets for the treatment of asthma. This study was supported by National Institutes of Health grants HL080030, RR000095 and ES000267.